As we all know that Samsung is working on their next Phablet, Note 4 and it is going to be launched soon. People are being crazily excited about it but we could not get a glimpse of the upcoming phablet. That however has now changed as we have a short hands on video of the Galaxy Note 4. The video finds its origins in Vietnam and shows just the device’s display in use as the device is placed in a dummy box. Also seen in the video is the stylus pen in black-gold color scheme with a button on it, as was seen on the previous one. 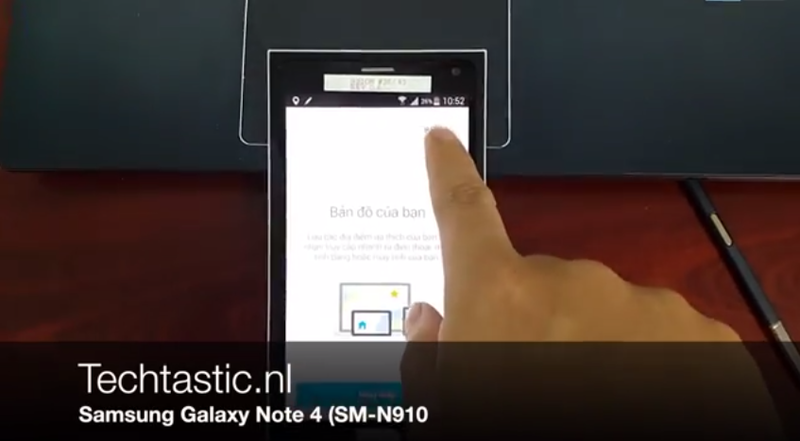 The model leaked in the video is the N910H which is he Exynos 5433 powered Galaxy Note 4. For those of you who don't know, there is also going to be an Snapdragon 805 powered Note 4. The Galaxy Note 4 is scheduled for its unveiling at the IFA on September 3rd. Below is the hands-on video for you to check out and don't forget to leave your views in the comments below.